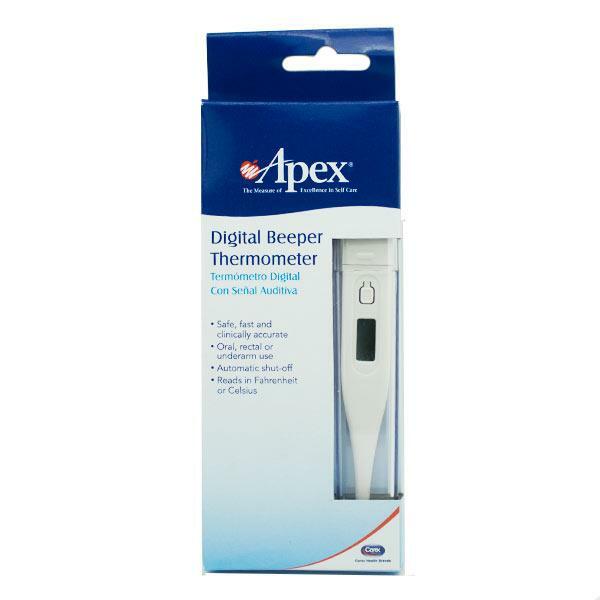 The Apex Digital Beeper Thermometer is a quick, safe and accurate way to find out the patient’s temperature. This thermometer can be used oral, rectal or underarm. The Apex digital thermometer will help you determine if the patient has a fever, needs rest or if they need a physician’s attention. Apex has designed this thermometer to automatic shut-off when not in use and it also comes with a protective case. The Apex Digital thermometer reads in Fahrenheit only.